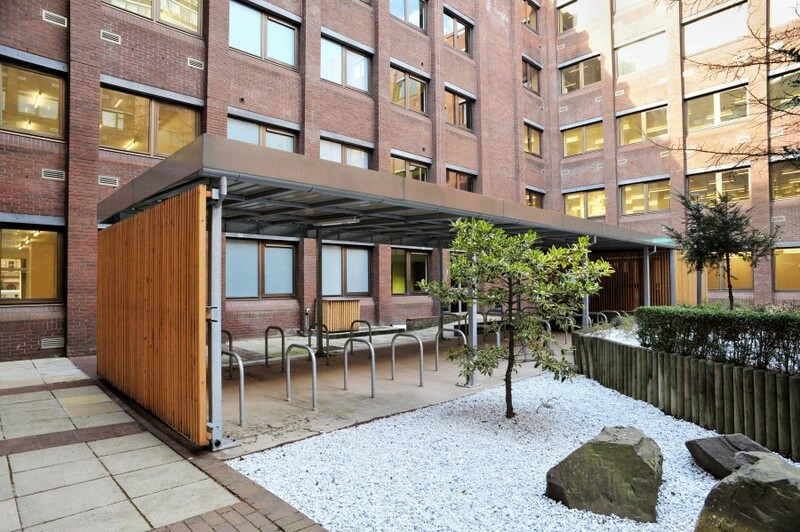 A £6.9MILLION revamp of a prominent 1970’s city office block, George House, on the north side of George Square, Glasgow, has undergone a nine-month refurbishment to modernise the building. 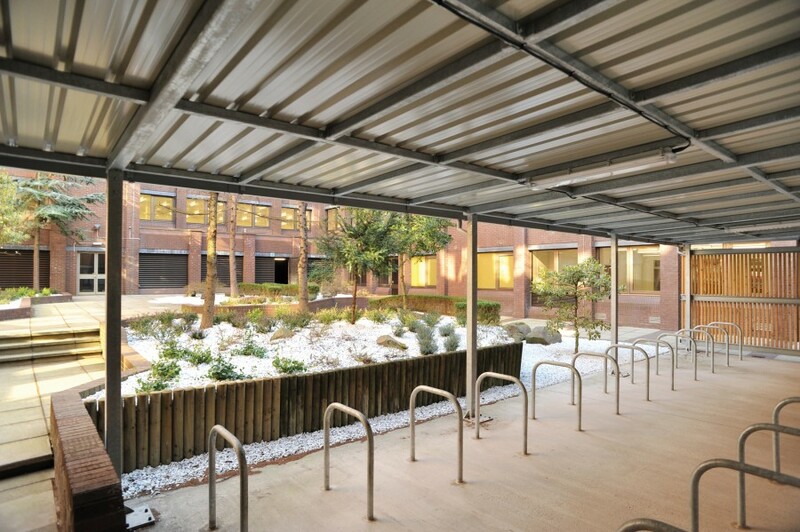 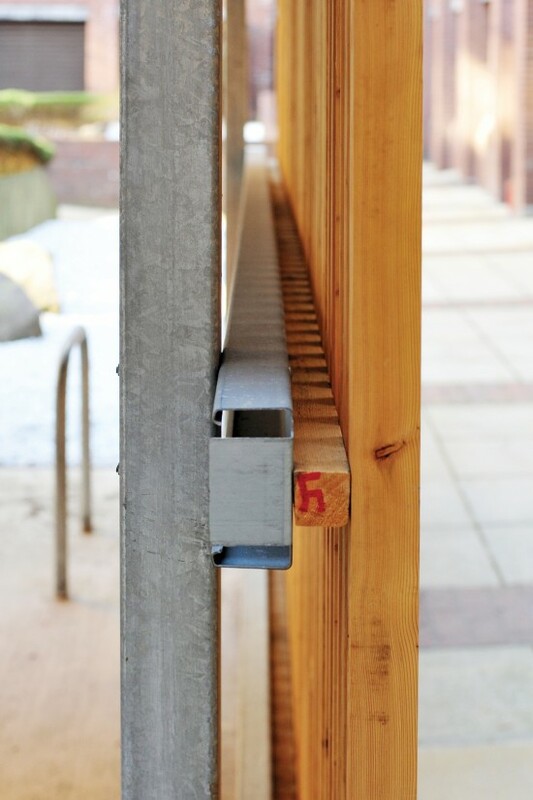 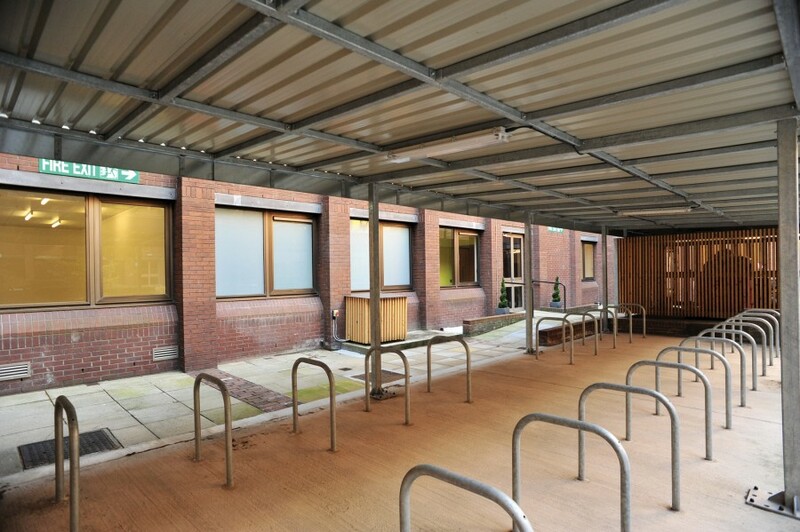 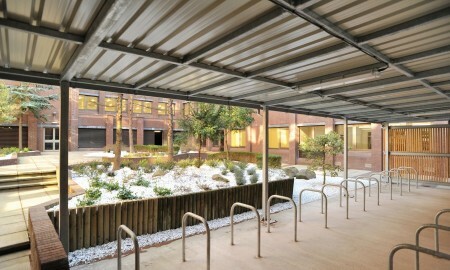 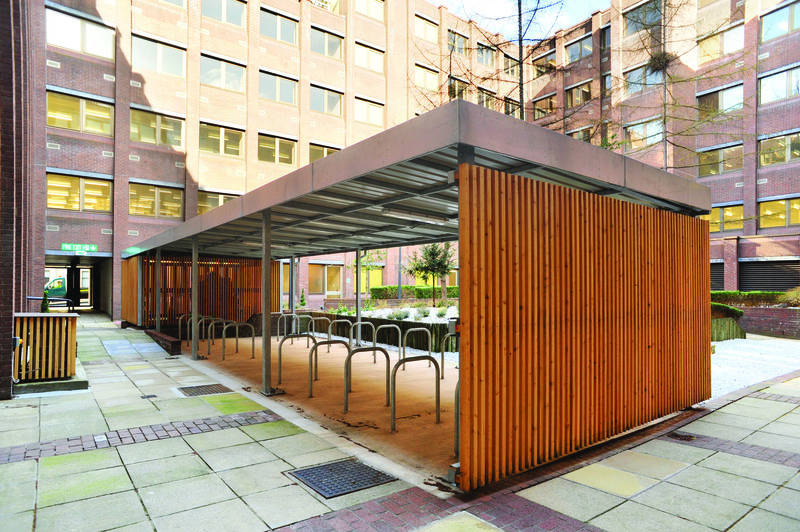 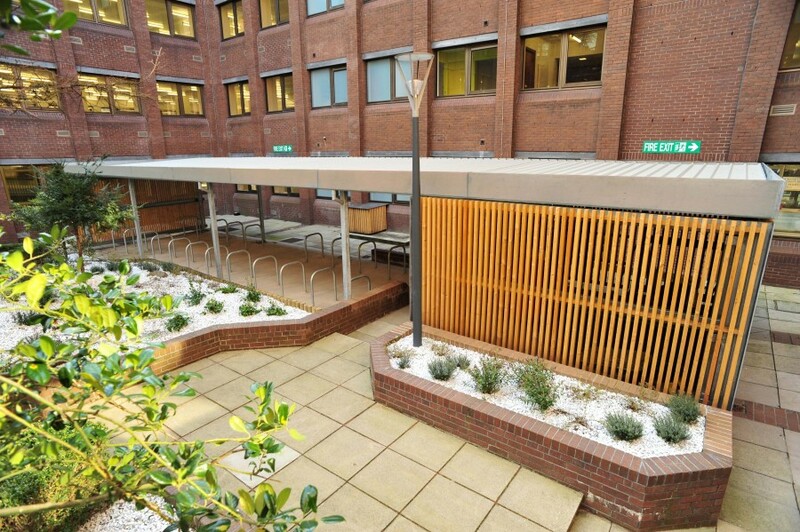 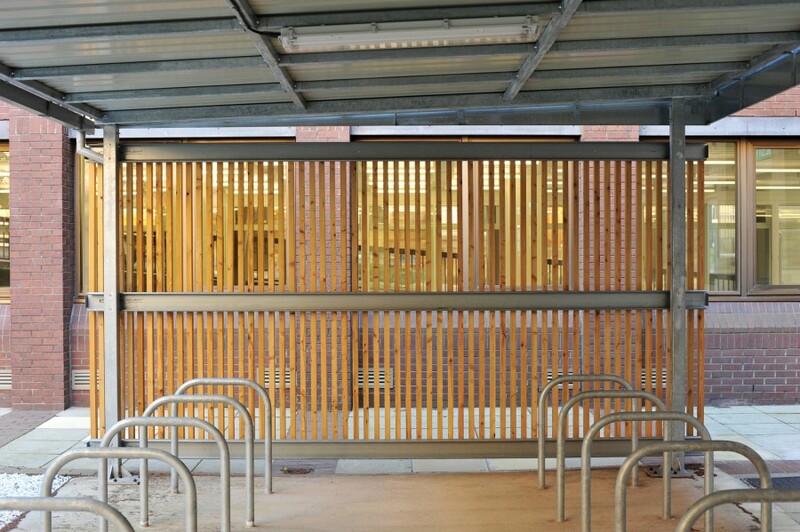 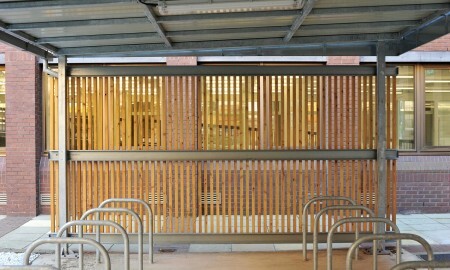 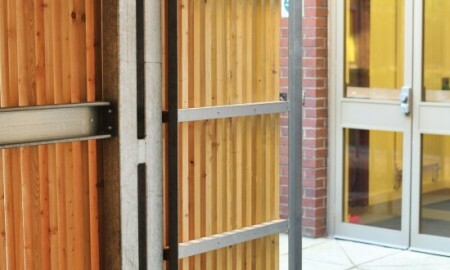 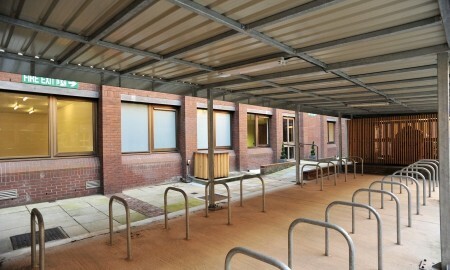 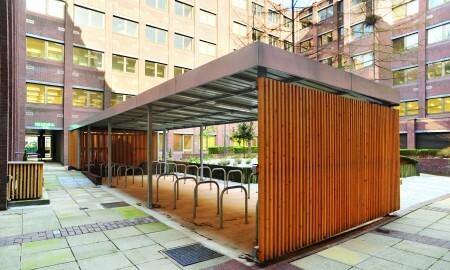 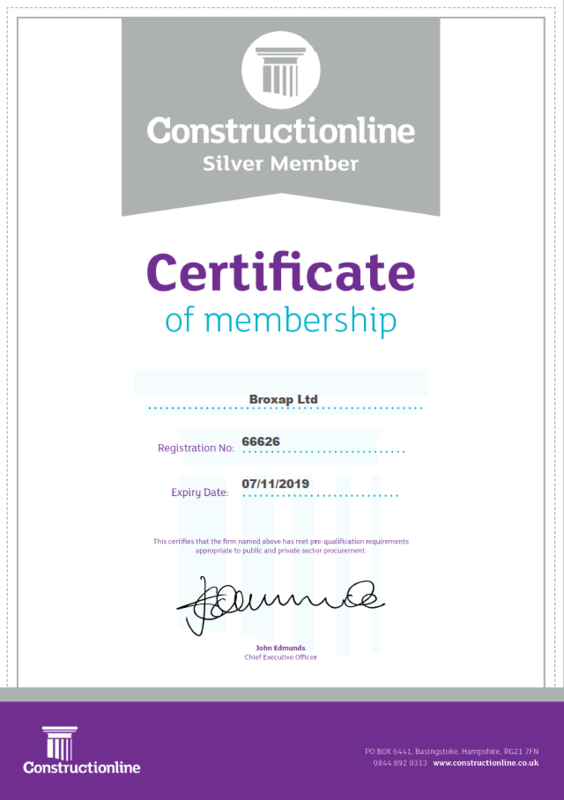 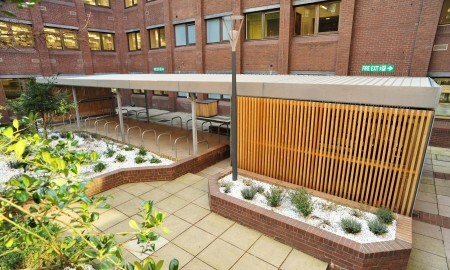 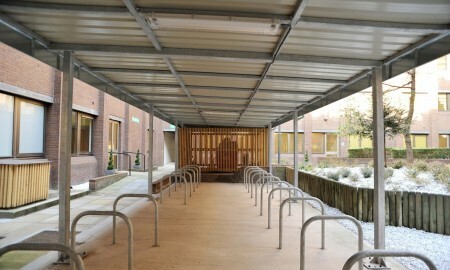 Broxap Ltd was given a customer brief to provide a cycle parking and bin store area to a contemporary design. 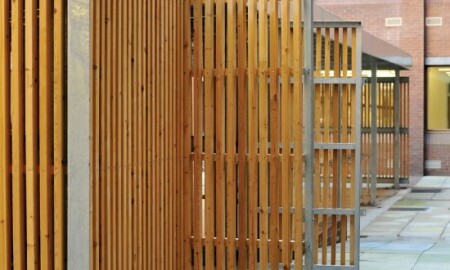 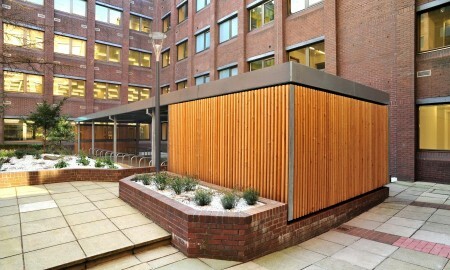 The design had to be further considered due to the constraints of it being installed within a courtyard in a six storey structure with minimal access. 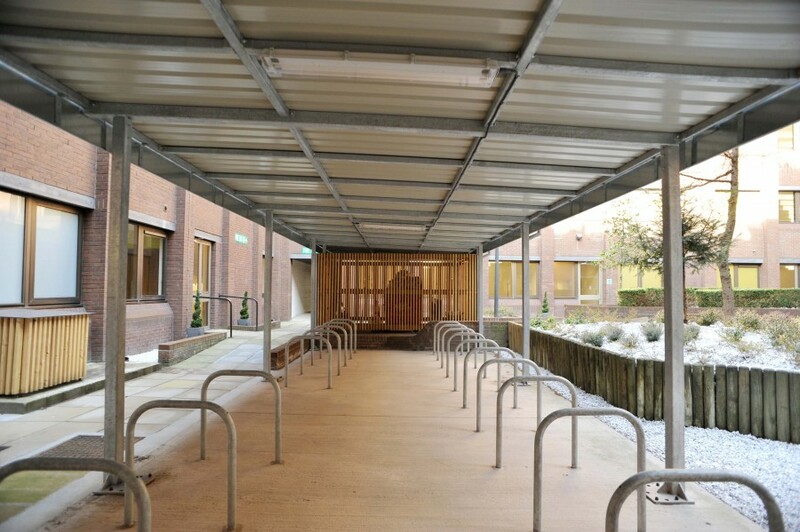 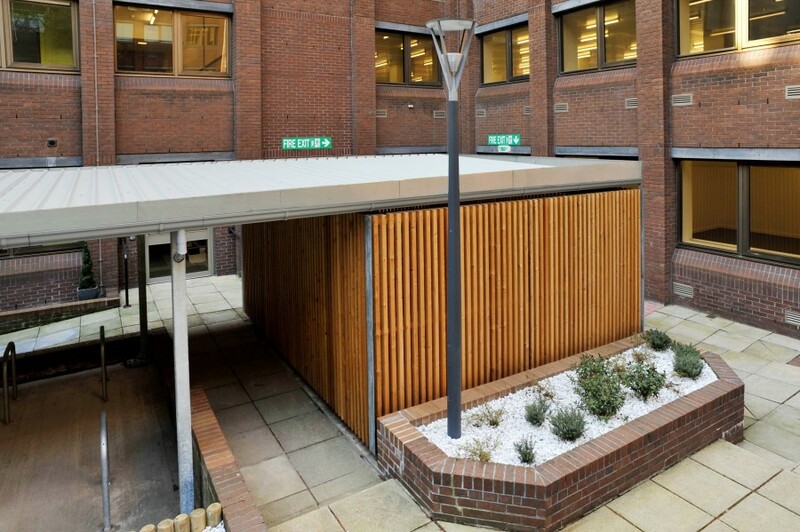 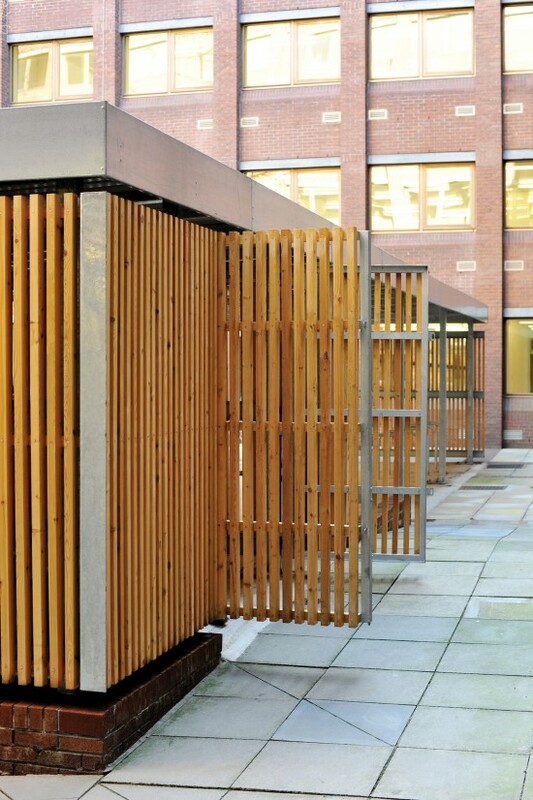 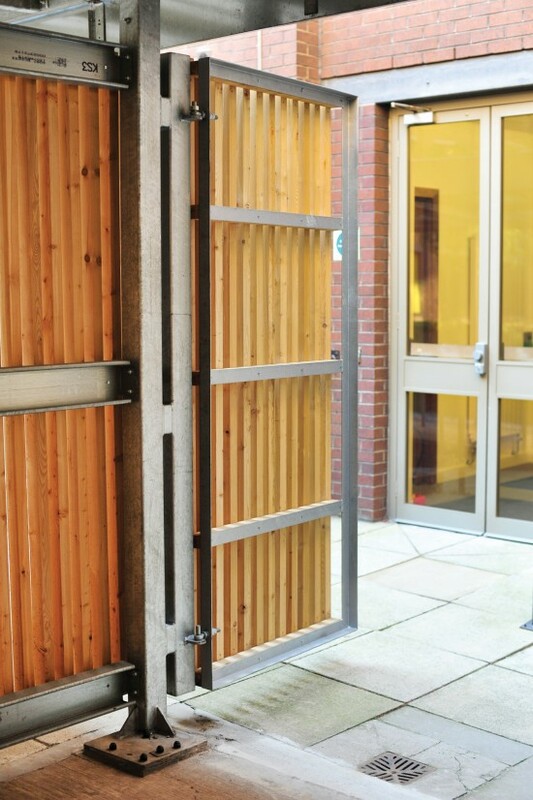 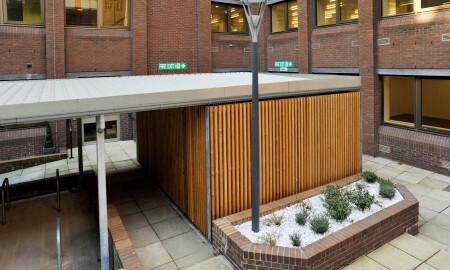 The resulting solution of a Bespoke Newcastle Senior Monopitch Canopy constructed of larch timber clad galvanised steel incorporates cycle storage for 44 cycles and a lockable double door bin storage area. 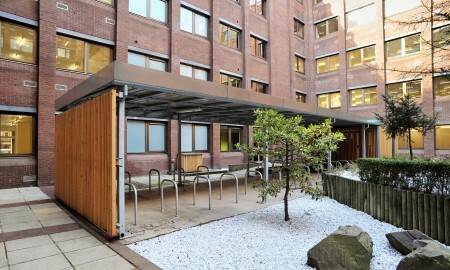 The design compliments and enhances the large internal landscaped courtyard of George House. 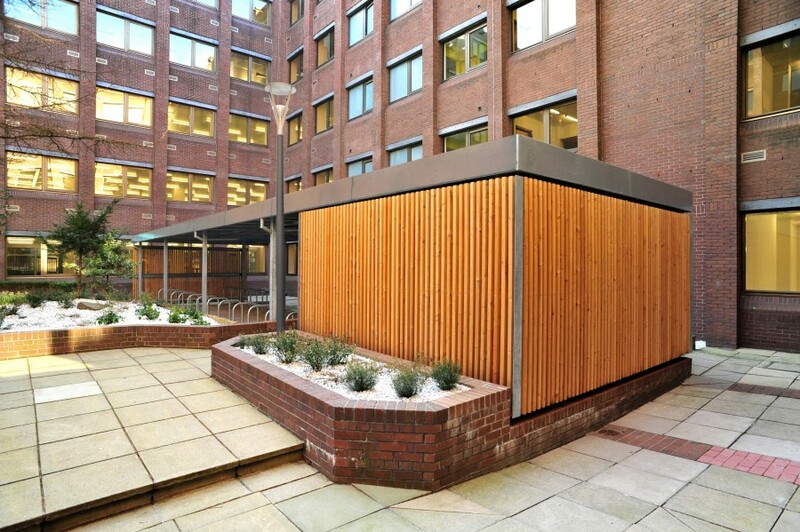 From 1970’s design to 21st Century environment in the heart of Glasgow.